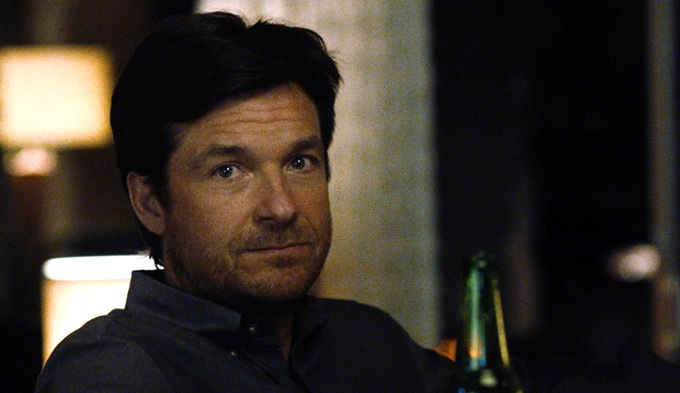 If you thought Jason Bateman could only play affable sad-sacks, prepare for a nice surprise with The Gift. The actor best known for his gentle portrayal of the put-upon Michael Bluth in Arrested Development discovers his dark side in a big way in this unsettling revenge thriller about the terrible cost of youthful misdeeds. We first meet sales exec Simon (Bateman) and his interior-designer wife, Robyn (Rebecca Hall), as they’re being shown around a new home in the Hollywood Hills. The picturesque place comes equipped with a surplus of windows, but there’ll be a lot more peering in than out. While out shopping one day the couple run into Simon’s old high-school buddy Gordon (first-time writer-director Joel Edgerton), who exudes a harmless demeanour but soon worms his way into their lives with unannounced visits to the new place. His strange behaviour leads an increasingly frustrated Simon to admit that his nickname back in the day was “Gordo the Weirdo”. After one too many troubling interactions, Simon and Robyn cut social ties with Gordo and focus on their main goal—becoming parents—while Simon also aims for a big promotion at his computer-security firm. It’s around this time that the real story behind Gordo’s weirdness starts to reveal itself—along with Robyn’s vulnerable psyche and Simon’s simmering menace. The sure-handed Edgerton sets a slow-burning pace in the lead-up to The Gift’s harrowing revelations, and all three leads give well-controlled performances, their conflict never stretching believability past the breaking point—at least, not until that climactic “gotcha” moment. After striking it rich with demon-based, supernatural franchises like the Paranormal Activity, Insidious, and Sinister series, it seems as if charmed production company Blumhouse has found a winning way with human-based horror as well.